Celebrate 14 Years at Township 7 on Sunday! This Sunday, September 7th from 11-4pm, party with Township 7 at either their Naramata Bench location or Langley Winery. 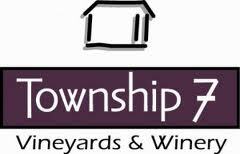 Township 7 Vineyards+Winery has been making award-winning, handcrafted, small batch wine for 14 years. They would like to invite everyone out to help celebrate this incredible milestone. Langley location is on the Campbell Valley wine route in the Fraser Valley 35 minutes from Vancouver (21152 16th Avenue). Naramata Bench location is located just outside of Penticton at the start of the famous Naramata Bench wine region (1450 McMillan Ave).